Remember a few weeks ago when I made cream puffs for Ryan’s birthday after months/years of him requesting them? And how delicious they were and how silly I felt for waiting so long to make a batch? Well, bread pudding has also been on Ryan’s wishlist for awhile, and I am not exaggerating when I say this might be one of my favorite things I’ve ever made. Something about the name “bread pudding” has always turned me off – maybe because I thought it was just soggy bread, but while soggy bread might be a step in the recipe’s process, this dessert is really deserving of a much more dignified name. And once you add the rum sauce, OMGGGG there really are no words. So, bread pudding it is. I actually made this as a dessert for Thanksgiving and I waited a few weeks to post it because I thought it would be a great holiday treat as well. I can’t even fathom the number of calories per serving, but I could see this making a perfect Christmas morning breakfast after all the gifts are opened. One great thing about bread pudding (besides everything) is that it almost gets better after sitting in the fridge for a day or two. I made mine about a day and a half early, stored it covered in the fridge, and then reheated it after turkey to the cheers of Ryan’s family. With all the hustle and bustle of the holidays, this recipe really is a keeper because it feeds a lot of hungry loved ones and is so easy. There’s no fuss and it can be baked in just about any sort of vessel you have on hand. I went with a deep dish pie plate, but you can use a 9×13″ pan or even individual ramekins. 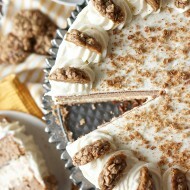 This specific recipe is particularly outstanding because it includes a cinnamon streusel topping, and if you really wanted to keep things easy that also be left out (but you’d really be doing yourself a disservice because that little crunch thrown in there is to die for!). I am definitely a bread pudding convert, and I will never look down on restaurants offering it on their dessert menus again. Turns out soggy bread infused with cinnamon, made with plenty of butter, and doused in a ridiculous rum sauce is actually one of the most delicious things you can put in your mouth. I may have to try to look great in a wedding dress soon, but that will certainly have to wait until after the holidays! - Preheat the oven to 350 degrees and grease a deep dish pie plate, casserole dish, or set of ramekins with non-stick spray. 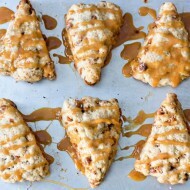 - In a small skillet of medium heat, melt the butter and brown sugar. Allow the mixture to reach a boil and bubble for 30 seconds, then remove from the heat to cool slightly. - In a large bowl, whisk together the eggs, cinnamon, salt, vanilla, and add the brown sugar mixture until evenly combined. - Slowly whisk in the milk until smooth. - Add the cubed bread and use a large spoon to evenly coat the bread. Allow the mixture to soak for ten minutes (while you make the streusel), then transfer to the prepared baking disk. - In a small bowl combine the flour, cinnamon, salt, and sugar. Use two forks, a pastry cutter, or your fingers to cut the butter into the flour mixture until it resembles wet sand. - Once uniform, spread the mixture over the bread pudding. - Bake for 45 to 50 minutes, or until the topping starts to brown slightly and the bread pudding appears puff. - For the rum sauce, melt the butter in a small saucepan over medium heat and add the brown sugar. Bring to a boil, cook for 30 seconds, then reduce the heat to low. - Slowly add the cream while whisking and bring the sauce back to a boil. Turn off the heat and carefully add the rum. - Allow the sauce to come to cool slightly, then slice pieces of the bread pudding and pour the sauce over each piece individually. 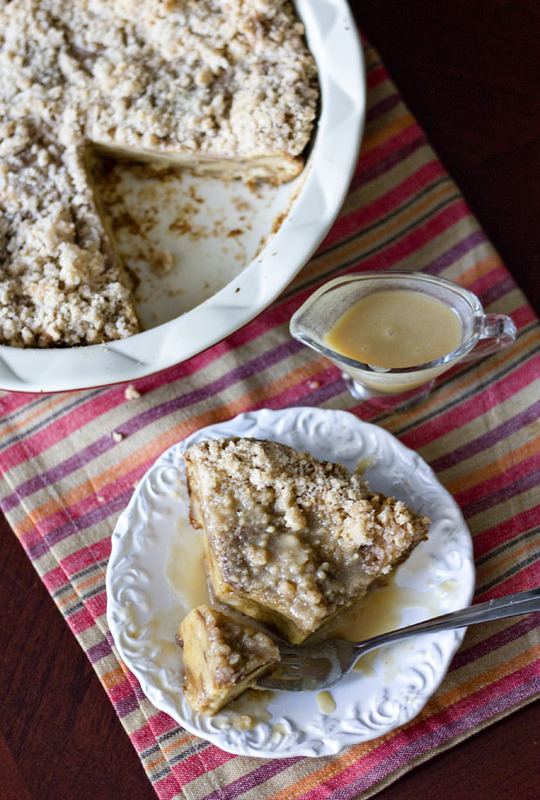 The bread pudding can be made up to 2-3 days in advance and kept covered in the fridge. When ready to serve, reheat the bread pudding in a 350 degree oven for about 20 minutes, or until it is warmed through. Heat the rum sauce in a saucepan or microwave before serving too. Wow, this looks fantastic! 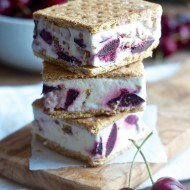 I am definitely going to try making this :) I always scoffed at bread pudding on menus, too, haha. Perhaps you will have a fellow convert soon? I love bread pudding and sometimes do order it at a fancy restaurant. Ooh I love bread pudding! I had a caramel apple bread pudding in Las Vegas at a fancy restaurant and it was absolutely delicious. I will have to try this one, too. But we don’t like rum. Will this be okay without a sauce? Wow, just met your website and I simply looooved it!!! And your strawberry ideas are soooo good looking! I just pinned this and love everything about it! 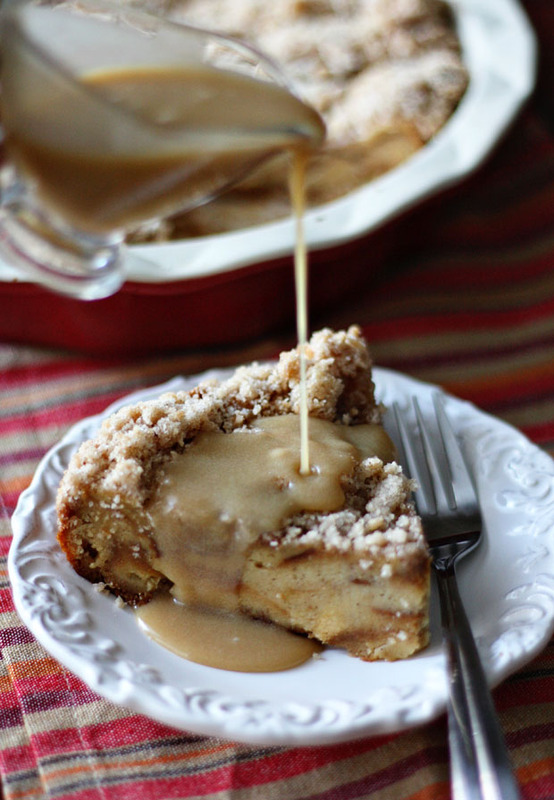 Love bread pudding, cinn rolls, and that rum glaze. Oh I am in heaven with this one! Using Challah for bread pudding?!?! You are my (s)hero!! 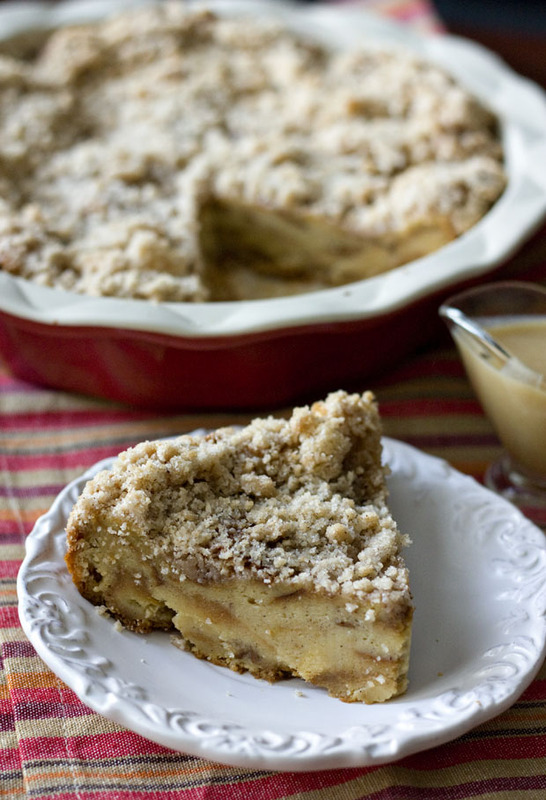 I love bread pudding and for your first try, it’s beautiful! Yes, the bread definitely makes the difference. It’s a challenge to resist the morning after a holiday as a breakfast treat. And since you’ve made cinnamon rolls as well, next time when they’re day old, make bread pudding with those. Amazing. Slowly whisk in the milk until cube. Made for Easter, it was delicious!! Normally I do not go for bread pudding but this is a keeper!! Oops sorry about that, it should say until smooth! This looks delicious! I’ve never been a big fan of bread pudding….maybe it’s because I haven’t had a decent one yet.Will definitely give this a try! I have been following your blog for some time and have printed out many recipes, but my first try at one of your desserts was this one. and o.. m…. g… the wonderful joy of its goodness. this came out splendidly and am looking forward to making more of your baked goods. keep them coming! Great receipe! I did add 1 cup pecan nuts & 1/2 cup raisons to batter. Also added handful of chopped nuts to topping prior to baking. Awesome. Does it have to be made with challah bread? Can you use any old bread you have around? You can use any bread you want, but I suggest using denser bread like challah so it can hold up well to the sauce. Enjoy! I just made this for Thanksgiving and everyone LOVED it! Thank you so much for sharing this delicious dessert. Hope you had a blessed holiday today.